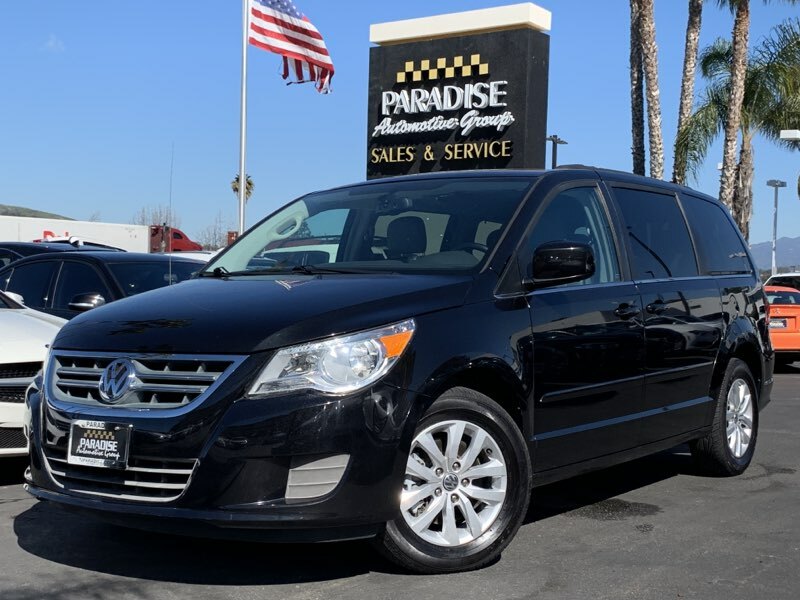 Meet our fabulous looking 2012 Volkswagen Routan SE Van with Navigation displayed in a beautiful Nocturne Black Metallic. Propelled by a powerful 3.6 Liter V6 that offers 283hp while connected to an advanced 6 Speed Automatic transmission that allows for smooth-shifting and easy passing. Check out our pictures, and you'll notice the European-inspired SE interior is both well-built and roomy enough for seven adults. The premium leatherette seating features heated front seats and a power driver's seat. Power windows, door locks & heated mirrors, remote keyless entry, Bluetooth hands-free phone, full-color navigation, auxiliary input jack, second-row captains chairs and an AM/FM/6-CD audio system w/6 speakers are just a few of the family-friendly amenities included.